A few weeks ago, during Lili’s horseback riding class, a woman who lives nearby, delivered some eggs to a couple of the trainers. I thought it was a one-time thing, but all week I thought about those eggs. Finally, I decided to ask and was I ever thrilled to discover that I too could have eggs delivered during Lili’s class each week. FARM FRESH eggs!!! Eggs from free range chickens!!! Eggs that weren’t several weeks old, but just laid that morning!!!! 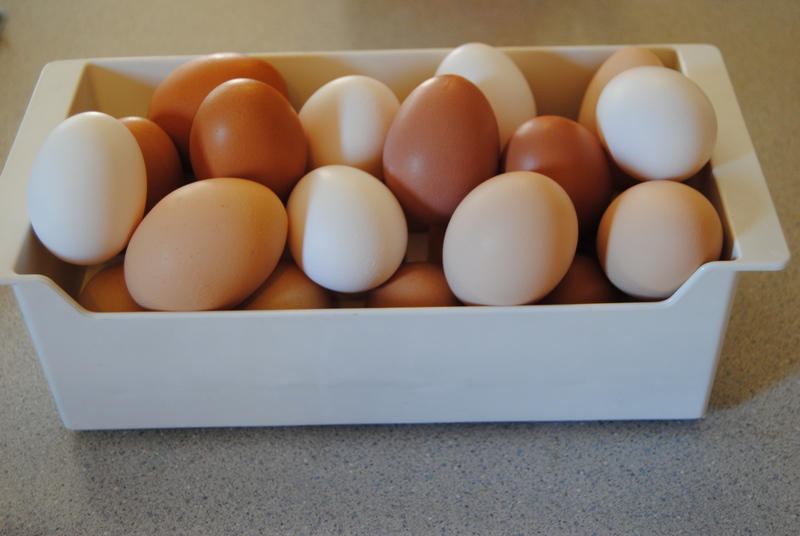 Oh how I love my farm fresh eggs!!!! The only thing that would make them any better is if they came from my very own chickens!!! Hopefully that will happen very soon! !